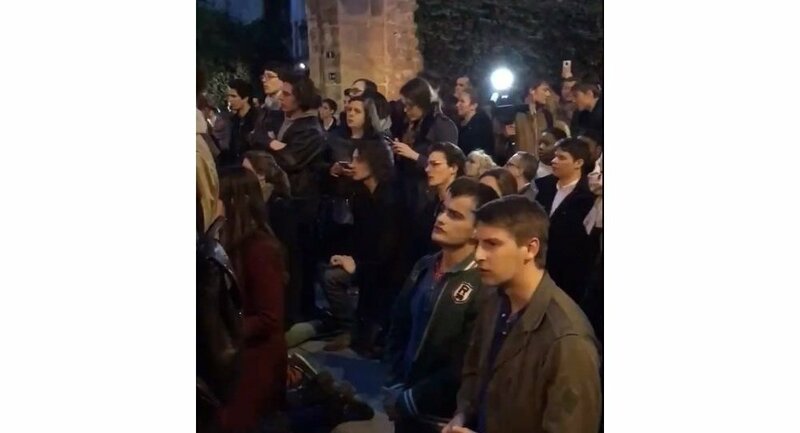 A video with a number of people singing in honour of the burning Notre Dame Cathedral while kneeling in the centre of Paris was posted by an El Mundo correspondent and within an hour gained almost a million views. — Ignacio Gil (@Inaki_Gil) 15 апреля 2019 г.
Netizens reacted to the heartbreaking video and expressed their condolences. — AdrianaStuijt (@AdrianaStuijt) 15 апреля 2019 г. — Alexia Hughes (@AlexiaHughes8) 15 апреля 2019 г. — Xətai (@Koskenbleu) 15 апреля 2019 г. — Tweetypie (@MirrorMirror38) 15 апреля 2019 г. 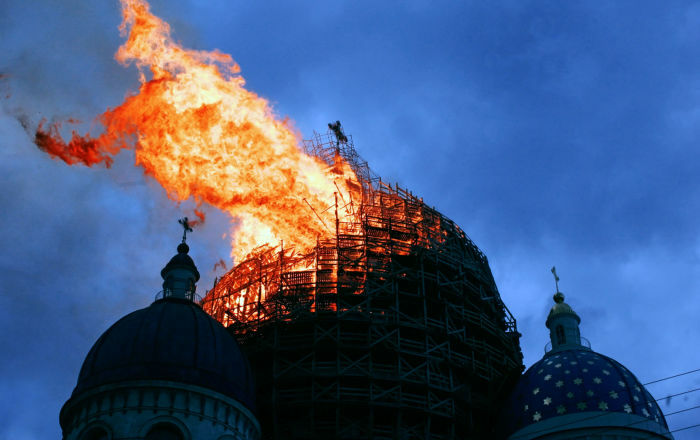 The blaze on the famed site started on Monday evening. Dozens of photos posted by witnesses on social media show massive plumes of brown smoke and thick ash filling the air above the medieval Catholic cathedral, an architectural masterpiece, which is rapidly being destroyed by the flames.